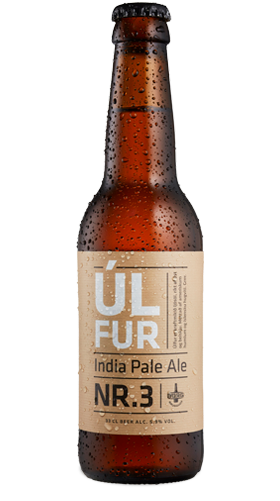 Úlfur, Icelandic for “wolf” and an Icelandic given name, is a west coast, American-style IPA. Úlfur is dry hopped with American hops that give off a bitter and fruity aroma and a taste of citrus fruit (particularly grapefruit) and a delightful crispness that entices one to take another sip. The earliest account of hops is in Naturalis Historia by the Roman naturalist, Pliny the Elder, where he mentions a mysterious plant, Lupus Salictarius, or Willow Wolf.